Dr. Thomas is dedicated to helping you preserve a healthy and beautiful smile, both in appearance and oral health. After all, he's been serving the needs of periodontal and implant patients in Mohave county and surrounding areas for over 20 years! You can trust his professional skill and expertise. Dr. Thomas will provide you with a personalized treatment plan that is right for you. Expect to spend some time with Dr. Thomas as he gets to know you and your individual oral health needs and goals. Dr. Thomas & his periodontal team will take the time to educate you on your treatment options, empower you to make the best treatment decisions possible for you, and he will work closely with your referring dentist to provide you the best possible treatment process. Periodontics is the most qualified dental specialty to treat patients who need periodontal and implant therapy. After graduating from dental school, Dr. Thomas further advanced his education in a three-year residency in Periodontics. This gives him the opportunity to handle the most complex periodontal cases, from severe bone loss due to gum disease to eliminating recession with soft-tissue grafting. Dr. Thomas is trained in the surgical placement of dental implants to replace missing teeth, multiple teeth or to support dentures. By focusing on periodontal therapy and implant placement, he has honed his skills and knowledge, lowering your risk of complications and pain. Once your periodontal goals have been met and healing has been completed, Dr. Thomas will return you back to your family dentist to continue the dental care you know and trust. Dr. Thomas graduated from some of the nation’s most respected educational institutions, including the University of Utah, Creighton Dental School and the Medical College of Georgia. He continually attends seminars and courses to further his education in periodontal dentistry. 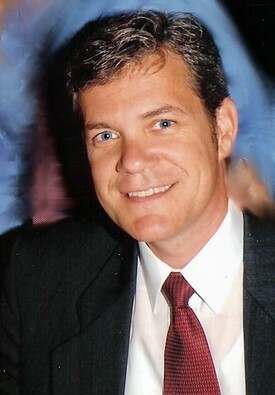 Dr. Thomas holds practice licenses in Utah, Idaho and Arizona and has significant teaching experience including, serving as a clinical faculty member at the Medical College of Georgia.